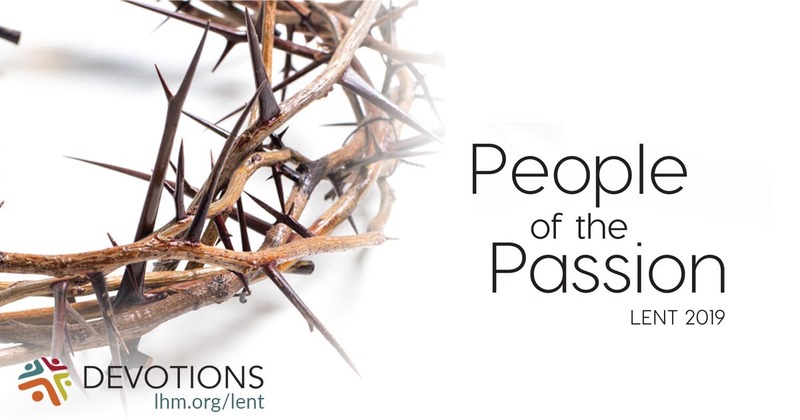 Has it ever occurred to you that someone must have made that crown of thorns for Jesus? Someone came up with the idea. Someone left the barracks to go looking in a field or on the side of the road. Someone (probably wearing gloves) picked up those thorny branches and twisted them into the shape of a crown. Somebody took that crown and pushed it down on Jesus' head—a nice little piece of human handiwork to honor the King of the Jews. We don't know that person's name. We don't know if he was young or old, Roman or provincial. Maybe he was habitually cruel—a man who went home at night and hit his wife and kicked the dog because it was underfoot. Or maybe he was the kind of person who just goes along with the crowd. It doesn't really matter. Because, in the end, the one who twisted that crown for Jesus was me. It was you. It was every human being who has ever done evil, however slight, knowing it was wrong but thinking, "It's such a small thing. it doesn't really matter." It was every one of us who has hardened our hearts against the needs of the poor, the sick, the unwanted, the very old and very young. A crown of thorns doesn't cost much to make. The effort is next to nothing. But Jesus has made us a crown also, and this one cost Him everything. It's the crown He won for us when He laid down His life for us willingly, dying and rising for us in order to bring us back as God's people. The crown He offers us is His gift to everyone who repents and trusts in Him for forgiveness. James calls it "the crown of life that the Lord has promised to those who love Him" (James 1:12). Now, because of what Jesus has done, we can put away those thorns forever. Jesus has given us the crown of life—and on His own head, what do we see? A very different crown—we see Jesus "now crowned with glory and honor because He suffered death, so that by the grace of God He might taste death for everyone" (Hebrews 2:9). THE PRAYER: Dear Lord, thank You for the crown You have given us—and thank You that You Yourself are our true, beloved King. Amen. Have you ever grown a thorny plant—a rose, a cactus, or something similar? How did you handle it? What good thing would you like to make for Jesus with your life? How do you glorify and honor Jesus in your daily life?